Frontiers Music Srl is thrilled to announce the Jan. 27, 2017 release of Stephen Pearcy's fourth original solo album "Smash." Stephen Pearcy, best known as the original vocalist and founding member of the platinum rock band RATT, has been working hard to complete his highly anticipated new album, while at the same time keeping busy performing shows across the U.S. The first audio offering from "Smash," entitled "I Can't Take It," can be heard HERE. Digital pre-orders include an instant download of "I Can't Take It"
Stephen will be supporting "Smash" with live dates in the U.S. and internationally. "It took long enough to finish the new record 'Smash' and it is well worth the patience taken, giving every song as much attention as the next. Erik Ferentinos (lead guitars & co-writer), Greg D' Angelo (drums) and Matt Thorne (bass, keyboards) and myself didn't settle on any first, second or third takes. We let some songs grow if needed, then go back and complete it. We're very happy with the outcome, that we were able to experiment and grow with the new songs," Pearcy said. 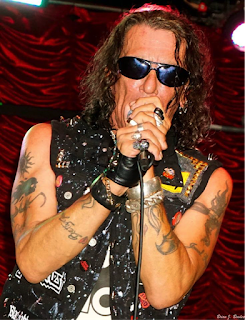 With more than 15 million records and gold and platinum long form videos sold in the U.S. alone with RATT, touring the world with over 20 albums to his credit with other ventures, solo projects, compilations, best of records, and other bands he created, there is no slowing Pearcy down. 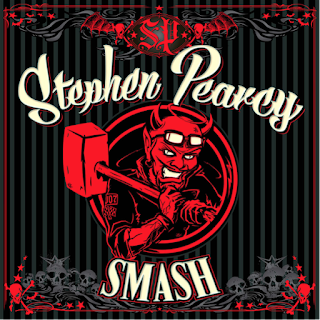 Pearcy is an accomplished songwriter with credits on all of RATT's records through the years (including "Out Of The Cellar", "Invasion Of Your Privacy", "Dancing Undercover" and more). More recently, RATT's last studio album "Infestation" was released a few years ago to rave reviews around the world. Stephen is also a producer, composer, television program creator, art director, marketing director, and owner/product creator of "Mic Knuckle" (hands free mic holder) and has also been involved in music for ESPN2 NHRA Drag Racing. Additionally, he has been involved in sponsoring several top fuel dragsters and funny cars since the mid 80's-90's thru the 00's.